The Wilkie Collins Society was founded in 1980 to promote interest in the life and works of this important nineteenth-century writer. His best known works are The Woman in White and The Moonstone. 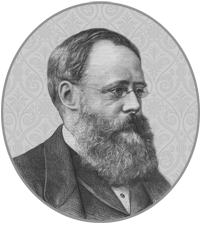 But Wilkie Collins wrote more than twenty other novels and around 100 short stories as well as a dozen plays and numerous essays and pieces of journalism. His books have attracted readers for a more than a century and a half and his unconventional lifestyle has intrigued the literary world for nearly as long. More than 3000 of his letters have been collected and the Society publishes new discoveries as they are made. Collins features prominently in works on Detective Fiction and the Sensation Novel and remains a subject of study for each new generation of scholars. New and scholarly editions of his books have been widely issued over the last fifty years and almost all his works are currently in print. There have been film, television, and radio productions of his best known novels and several of his short stories. Since the first substantive biography by Kenneth Robinson was published in 1951 more than a dozen others have followed, the latest being Andrew Lycett’s Wilkie Collins: A Life of Sensation in 2013. Other notable biographers include Catherine Peters, William Clarke, and Peter Ackroyd. The Wilkie Collins Society issues a Newsletter three times a year and a Journal under the editorship of Joanne Ella Parsons. The Society also publishes annual reprints of Collins’s shorter and lesser known works as well as short studies and notes as new things are discovered about this enigmatic Victorian writer.